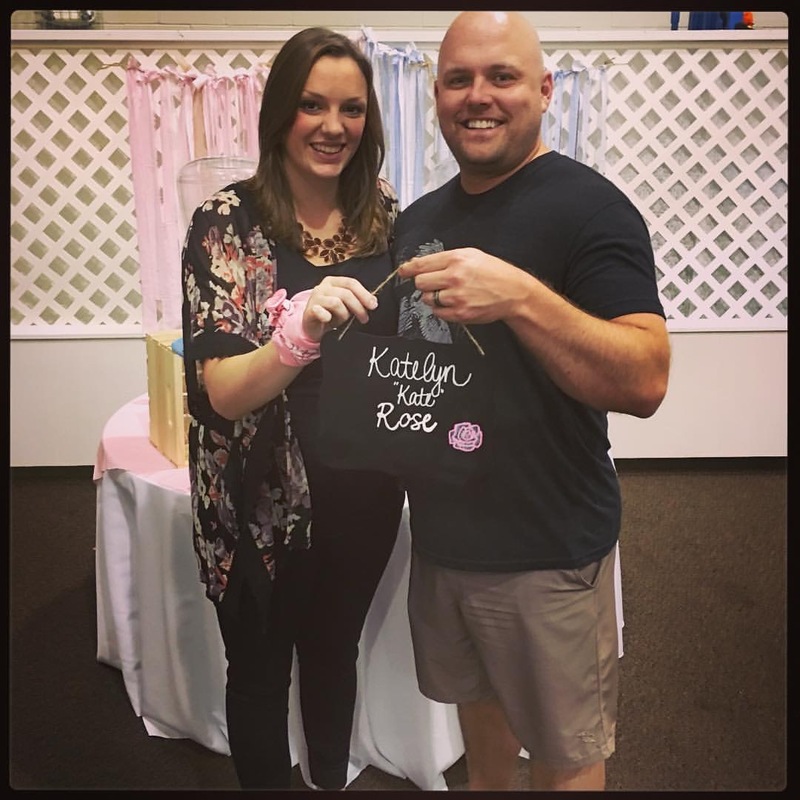 My daughter, Emily, and her husband, Jared, recently announced they are having a baby. 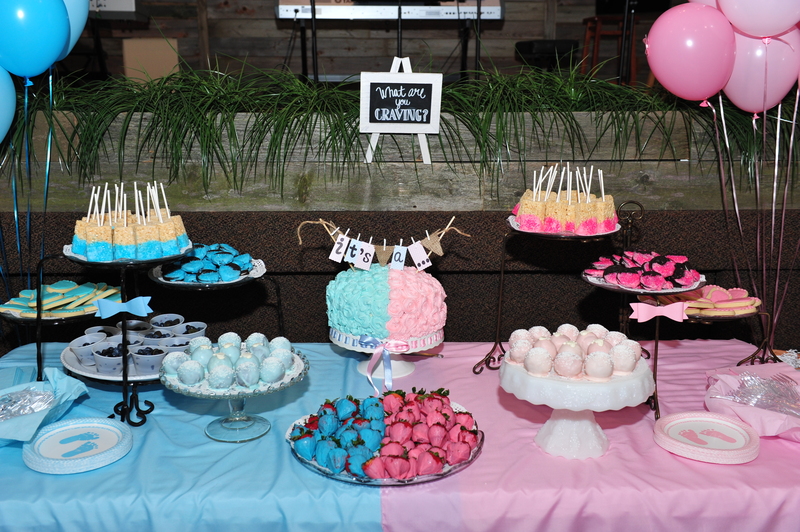 After my incredible, over the moon excitement, my next thought was the theme of the gender reveal and baby shower. I guess once a party planner, always a party planner! 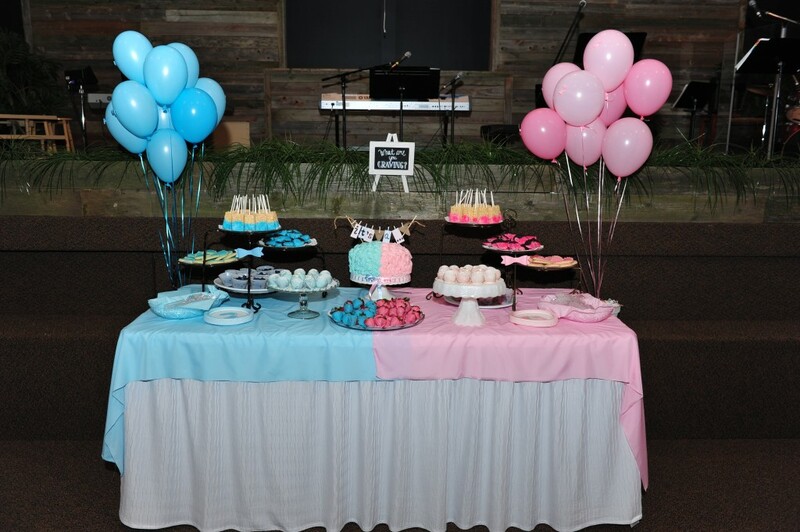 First thing is first, of course, so we began with the gender reveal. 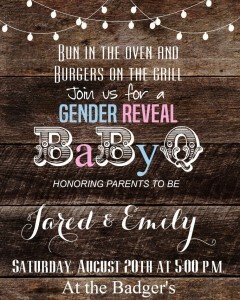 Emily and Jared asked for a “BBQ” theme. We decided to have the barbecue at our house since we have a big backyard. 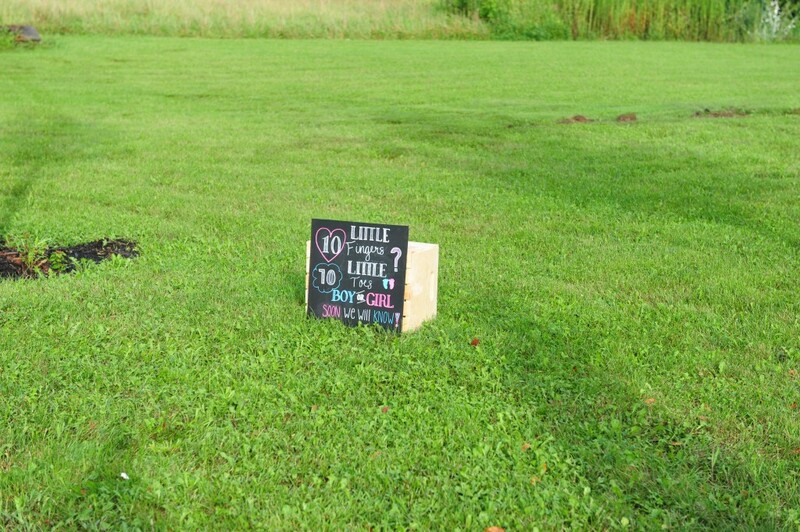 I tend to use parties such as these as an excuse to get some work done in our house and yard. It’s a great incentive when you know you have 70 of your closest family and friends coming over. 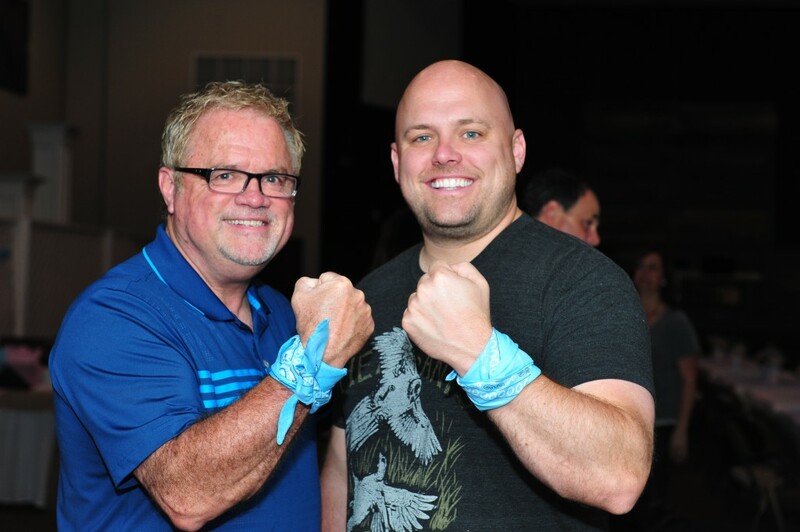 Scott loves it when I get these ideas in my head…not! The big reveal was scheduled for August 20th so we spent much of the summer painting, planting, pruning, mulching, and generally “gussying up” the place. It’s not like our home was falling apart, but we have an older house with a lot of property so there’s always room for improvement! 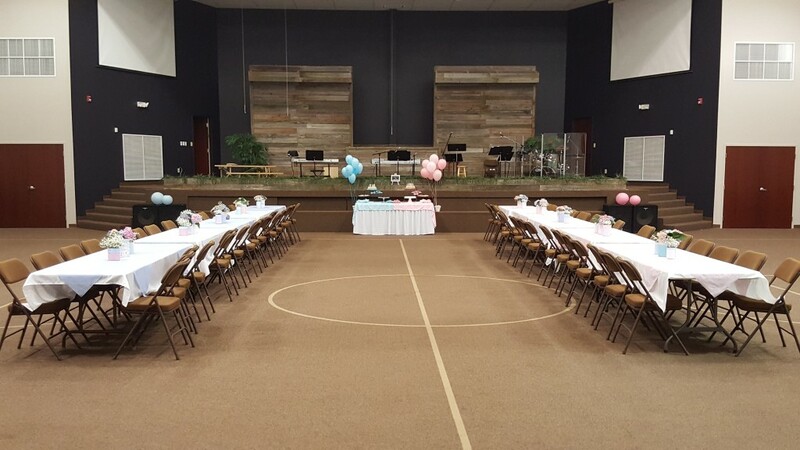 Because I always anticipate bad weather when planning an outdoor event, I had an indoor venue on standby. So we just moved the festivities inside. It certainly wasn’t what I had in mind as barbecues are typically not indoors, but sometimes things don’t work out the way you plan. 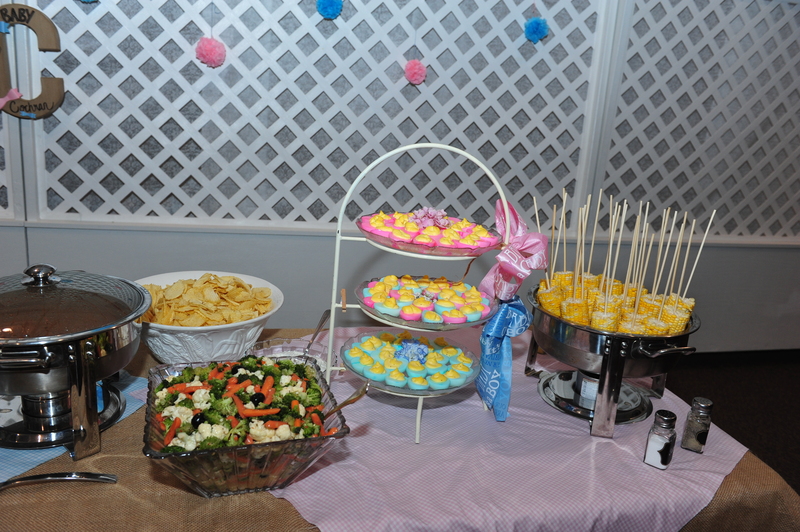 Even so, the party was a big success and I was thrilled with the way everything turned out. And you’ll see the result of the big reveal at the end of this post! 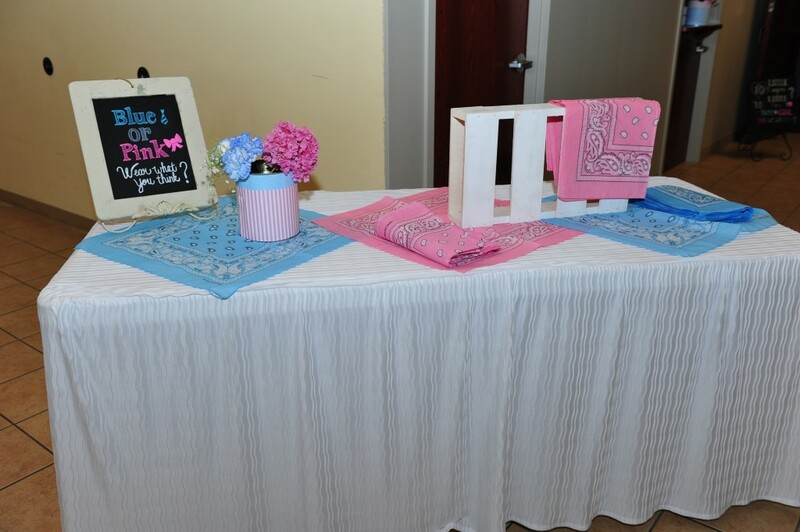 As guests arrived, they were asked to choose a pink bandana or blue bandana according to their best gender guess. 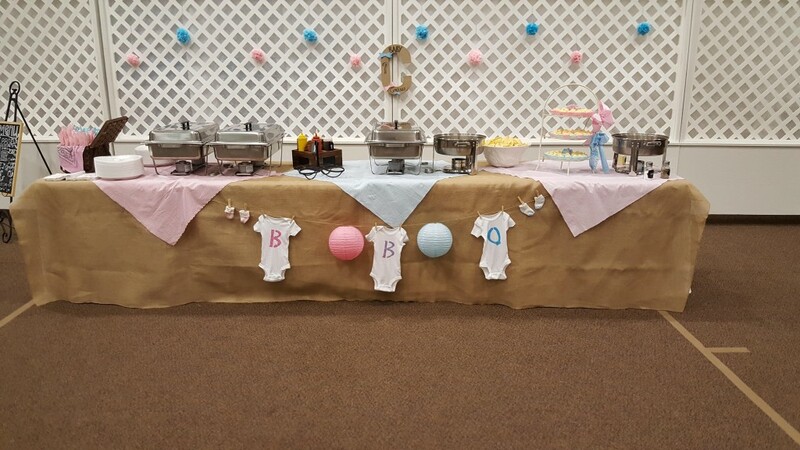 Our “outdoor barbecue” moved indoors to our church sanctuary. While it wasn’t exactly the ambiance I had originally planned, it still worked. 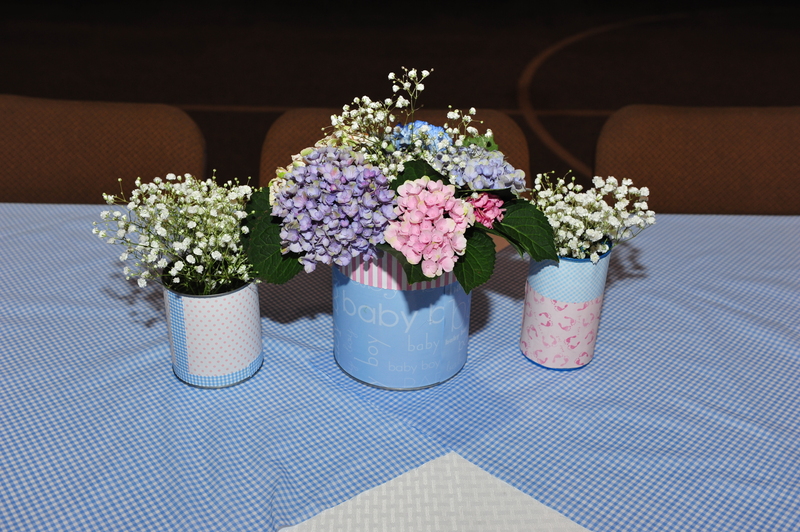 Each guest table was covered with either pink gingham or blue gingham. 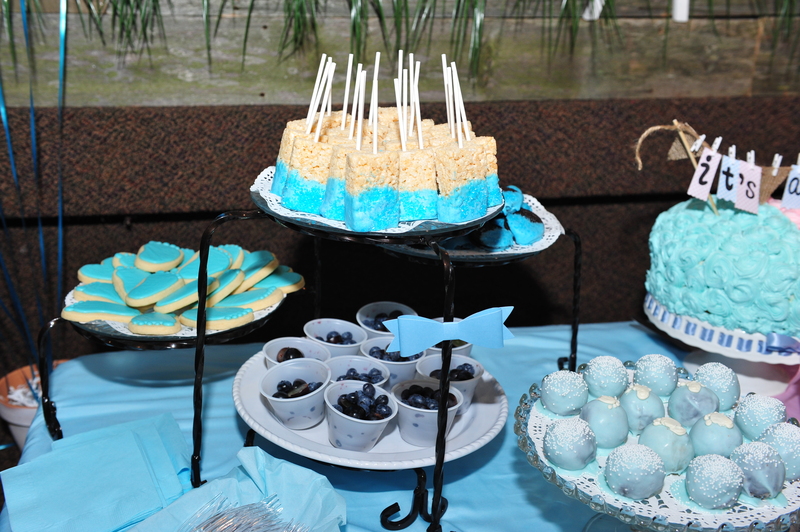 The centerpieces were simple. We collected cans, covered them with scrapbook paper and then filled them with blue or pink hydrangeas and baby’s breath. 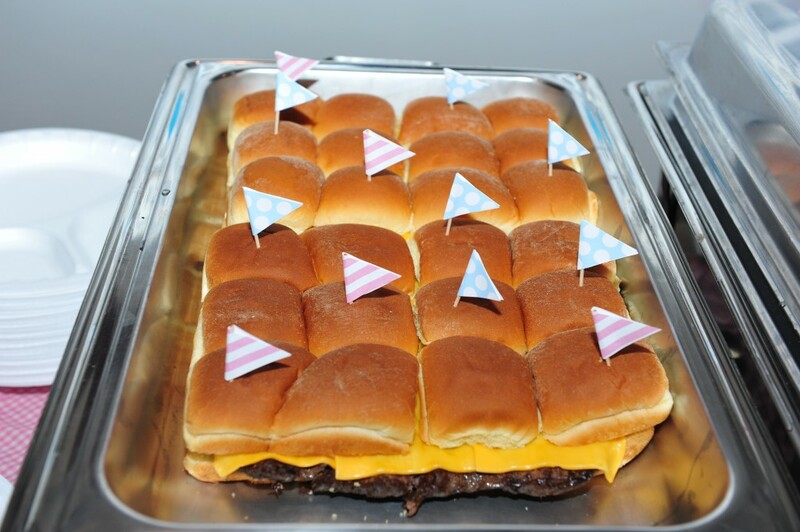 The menu was cheeseburger sliders, barbecue chicken sliders, corn on the cob, veggie medley, macaroni and cheese (mom-to-be’s favorite) and baked beans. Standard barbecue fare! 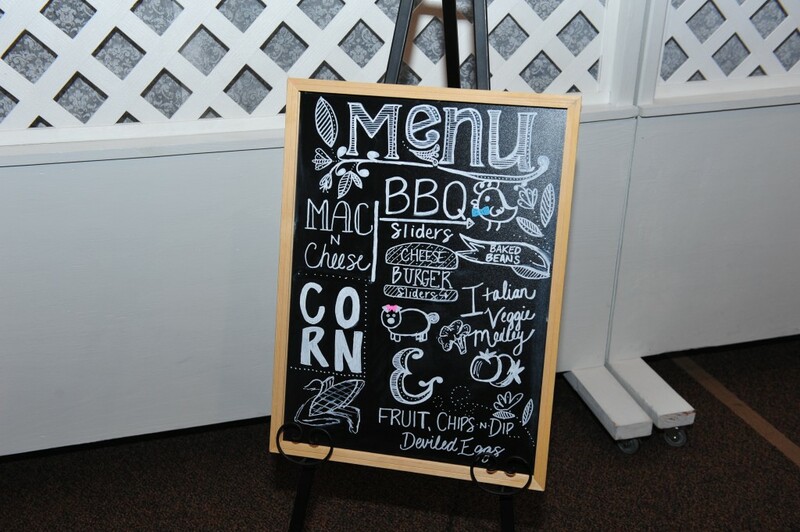 My daughter, Laura, made this menu which I thought was adorable. 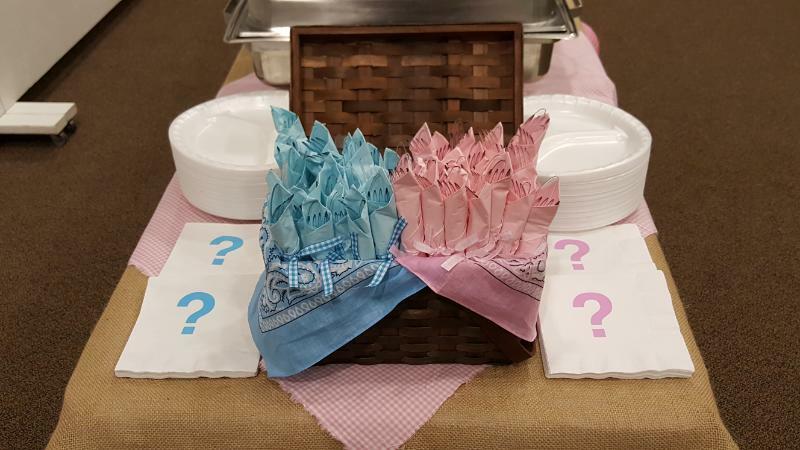 The napkins were placed in a cute picnic basket lined with bandanas. 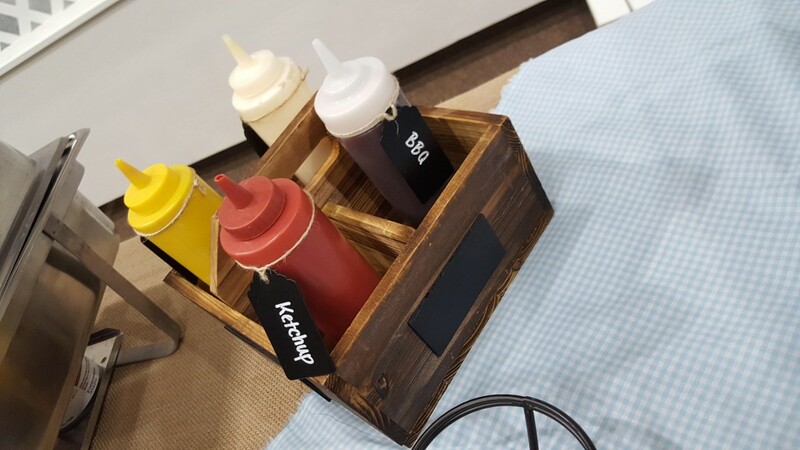 We put the corn on the cob on skewers to make it easy for guests to grab from the buffet. This marinated vegetable medley is always a popular recipe for barbecues and picnics. 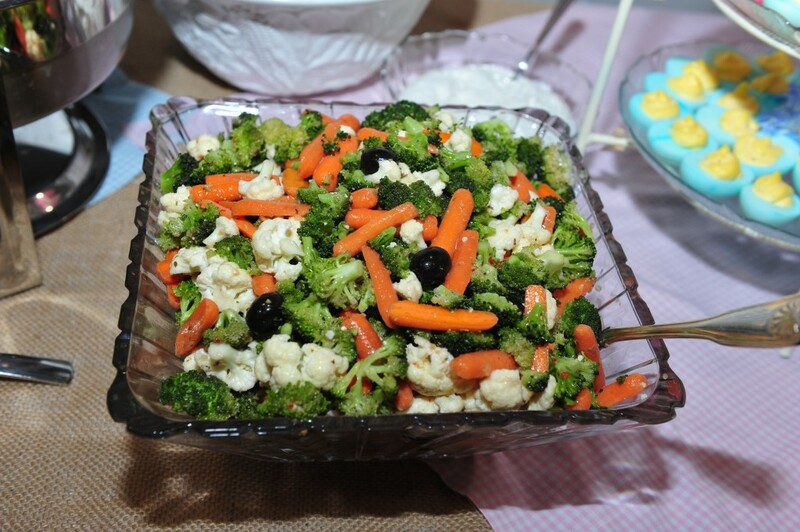 It is simply fresh vegetables marinated overnight in Italian salad dressing (I highly recommend Wish-Bone brand as it really seems to make a difference). 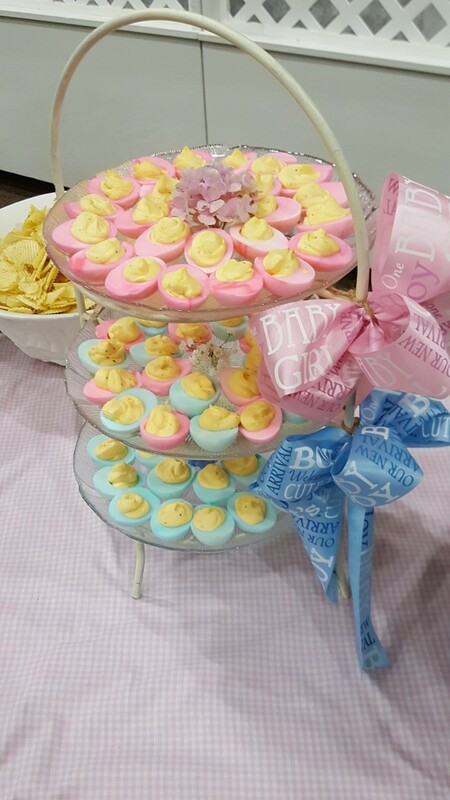 I love the way these deviled eggs turned out. 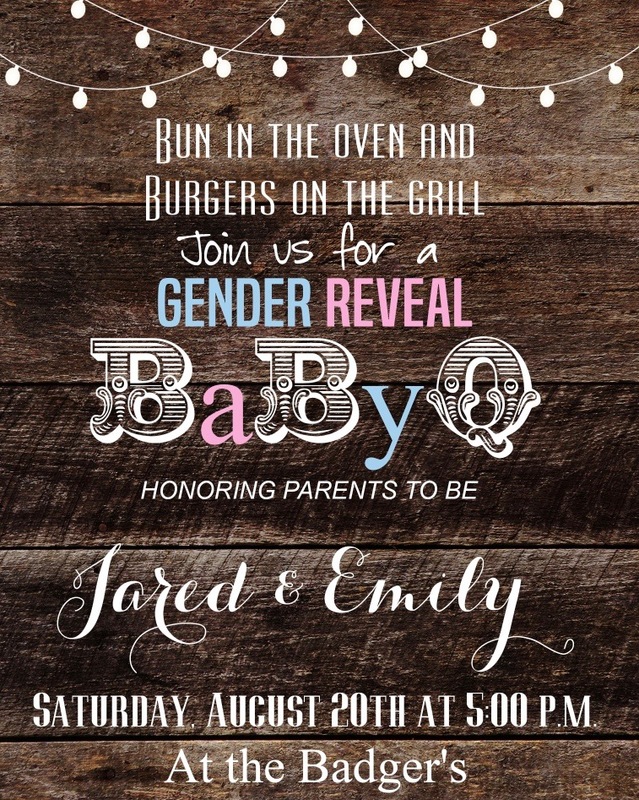 Perfect for a gender reveal! 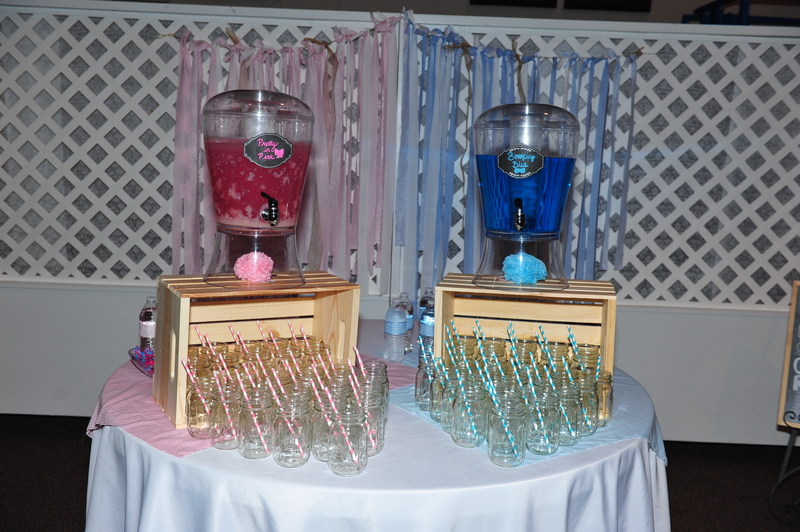 Guests could choose from “Pretty in Pink” lemonade or “Bouncing Blue” ginger ale. 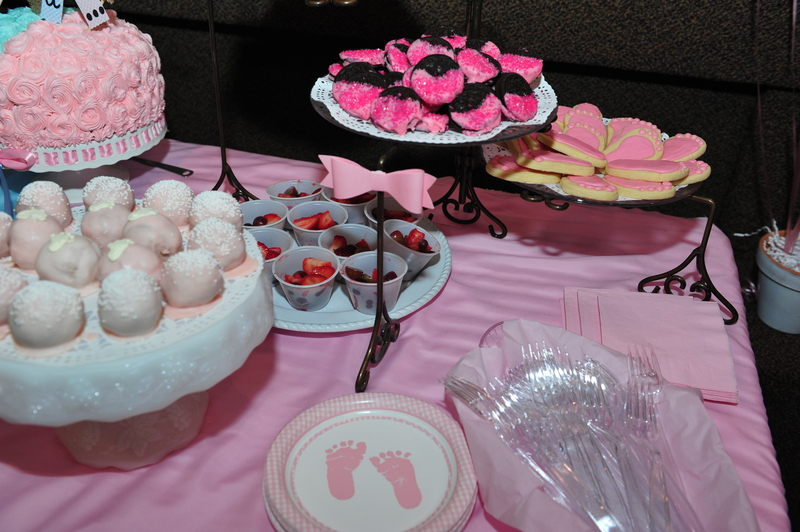 Our dessert table was filled with many delectable choices – all in blue or pink, of course! 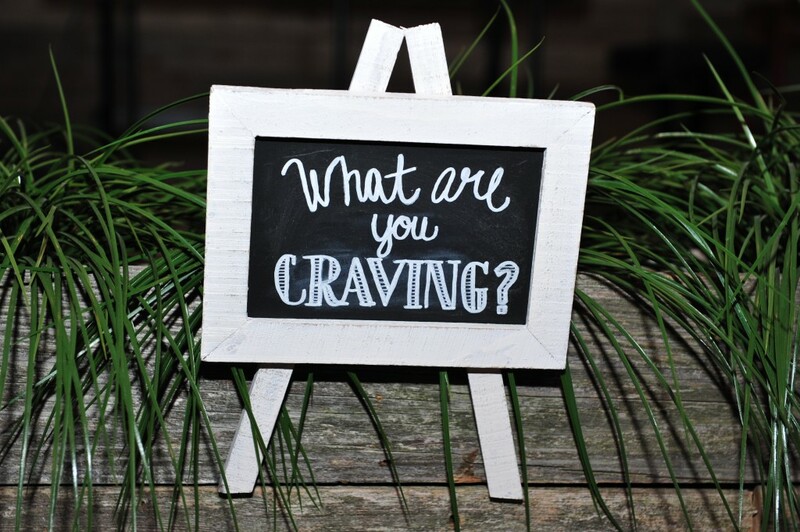 After everyone was well fed, it was finally time for the actual purpose of this shindig. 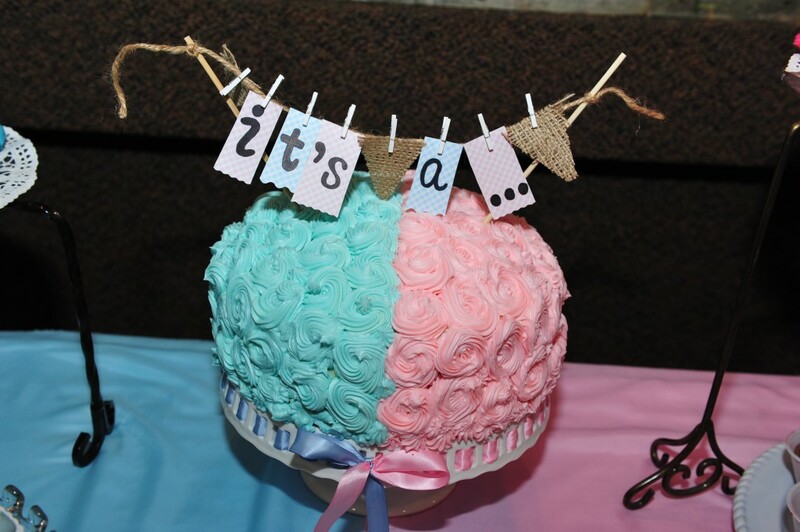 Is it a boy or a girl?? Thankfully, the weather cleared up at just the right time so everyone could head outside for the big reveal. 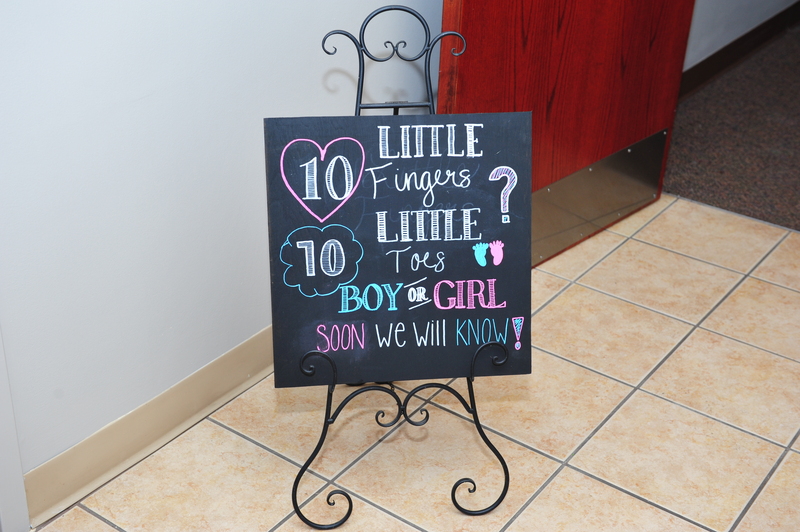 Stay tuned for Kate’s baby shower!! 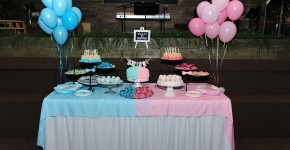 It was an amazing party and so detailed and beautiful! Everything was perfectly done! 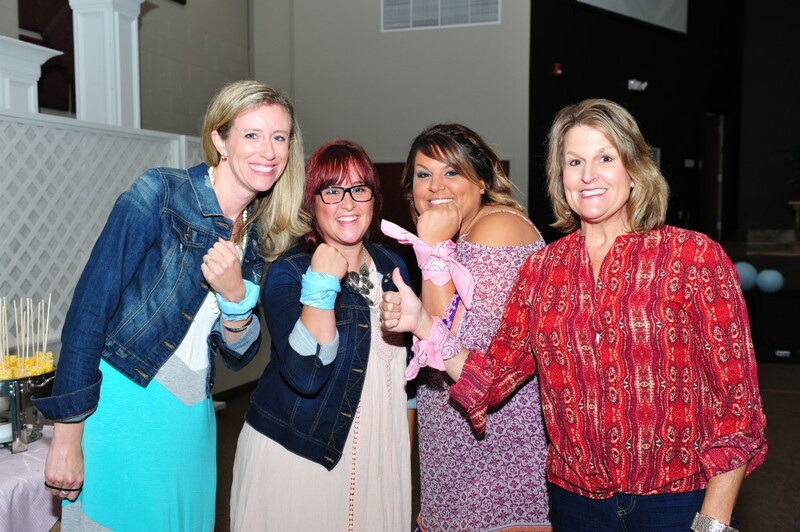 So very happy to have been there to experience my amazing friend Emily’s special book mark of life! Thank you so much, Lydia! 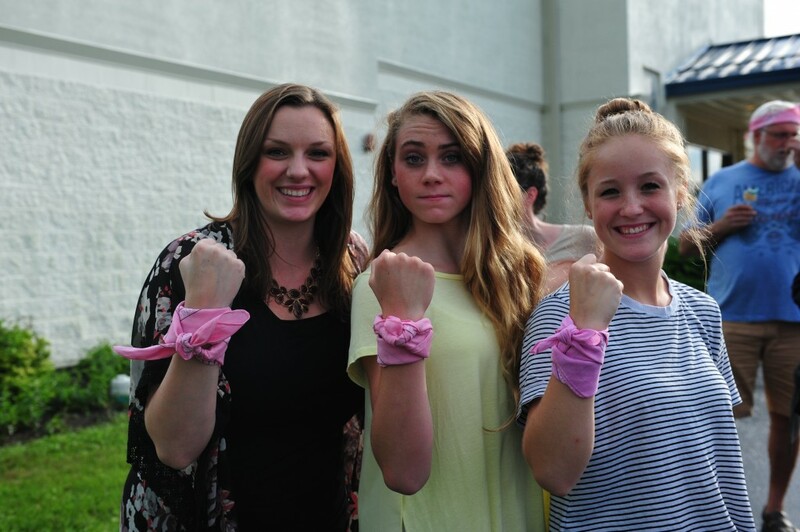 As always, we were glad you were there! !